You have a choice! 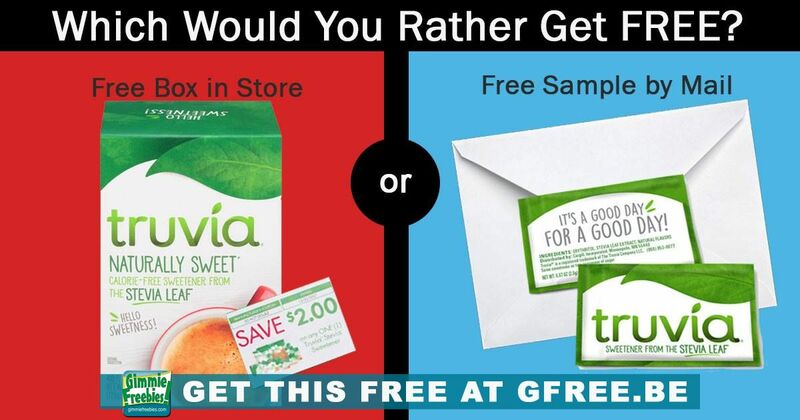 You can choose 2 single-serve packets and a $1.00-off coupon redeemable on Truvía Sweetener, or, then again, if you have already tried this product, then you could get a $2.00-off coupon on Truvia. If you choose to claim the $2.00 off coupon you can actually get a 40 count box at Walmart! The original price in stores is $3.47. However, you can get it FREE + $0.76 Moneymaker! So, check out below how to claim using both scenarios! One packet provides the same sweetness as two teaspoons of sugar and not to mention that there are zero calories! As long as you are going to use sugar, Truvia is a great change! Total price FREE + $0.76 Moneymaker! ***Please note: if you have already requested a free sample, you will not be eligible to request a $2.00-off coupon. Likewise, you will not be eligible to request a free sample if you have already requested a $2.00-off coupon.